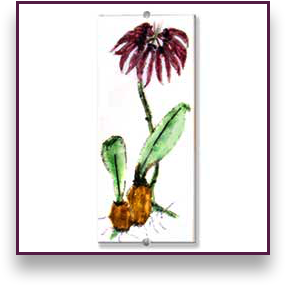 Judith Menges makes Wall hung, glass art, all themes, all colours are available. Sizes approx. 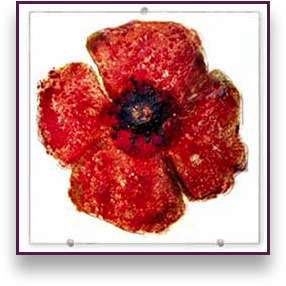 : Square images 500mm - Triptych's to 500mm each - Round 400mm. 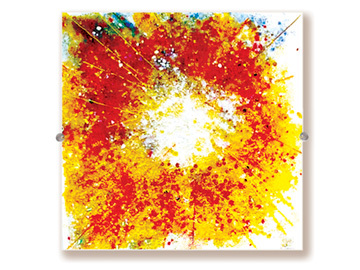 Price Guide: Large Square £400, Round 400mm £250 +/-. Depends on complexity of the design. 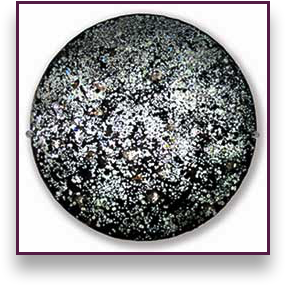 Glass Art made to your specifications, themes and colours; See prototype Tourmalineated Quartz. 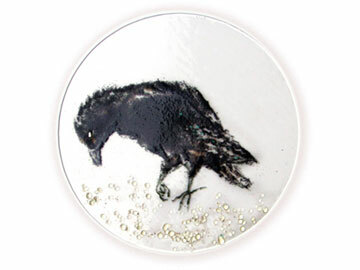 To contact the artist to discuss a specific design see contact page. 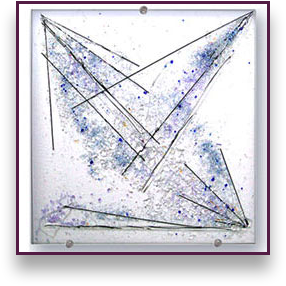 Abstract Art: Conceptual glass art inspired by the element: AIR. 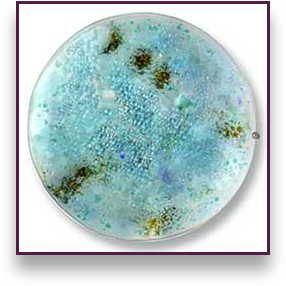 Glass Art - Fired in layers to make the surface sculptural & highly reflective. 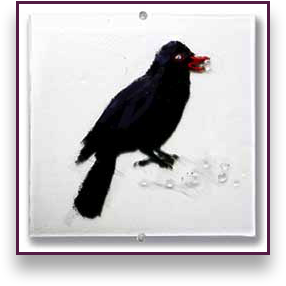 Single Panel, Triptych or Glass Art Bowl. 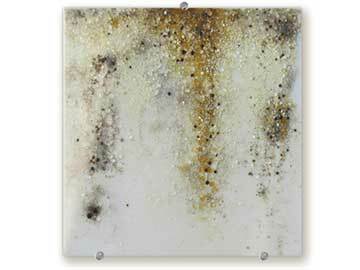 Abstract Art: Conceptual glass art inspired by the element: AIR. 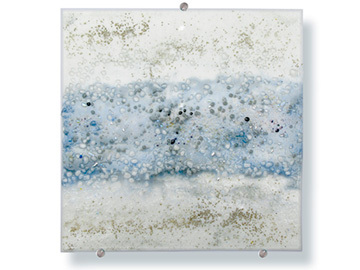 Glass Art - Fired in layers to make the surface sculptural & highly reflective. 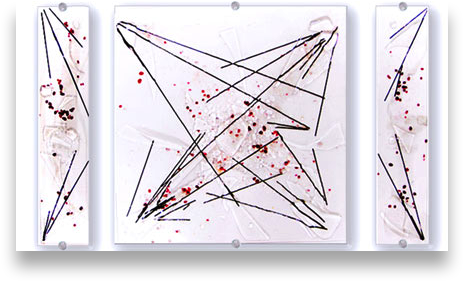 Single Panel, Triptych or Glass Art Bowl. 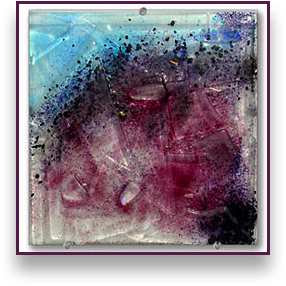 Abstract Art: Conceptual glass art inspired by the element: Earth. 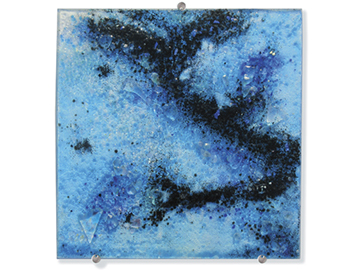 Glass Art - Fired in layers to make the surface sculptural & highly reflective. 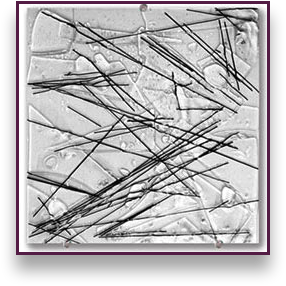 Abstract Art: Conceptual glass art inspired by the element: Earth. 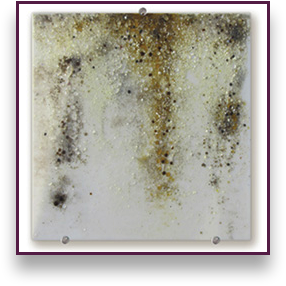 Glass Art - Fired in layers to make the surface sculptural & highly reflective. 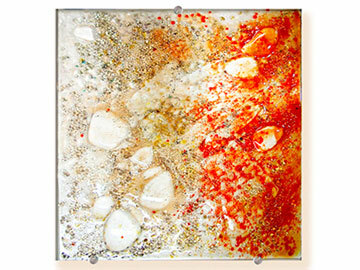 Single Panel, Triptych or Glass Art Bowl. 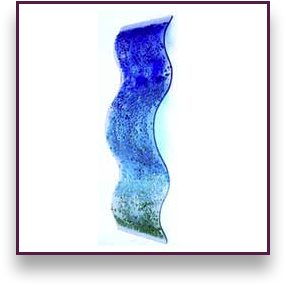 Abstract Art: Conceptual glass art inspired by the element: Water. 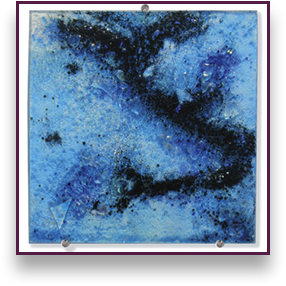 Glass Art - Fired in layers to make the surface sculptural & highly reflective. 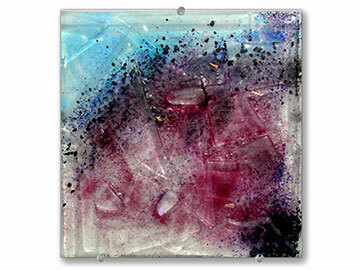 Abstract Art: Conceptual glass art inspired by the element: Water. 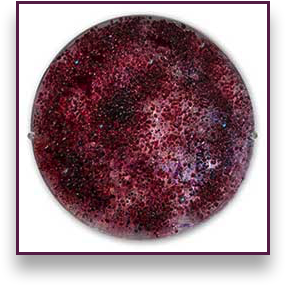 Glass Art - Fired in layers to make the surface sculptural & highly reflective. 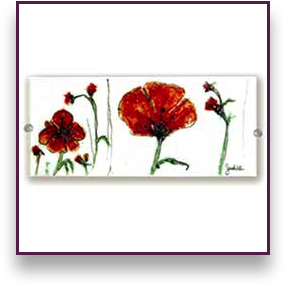 Single Panel, Triptych or Glass Art Bowl. 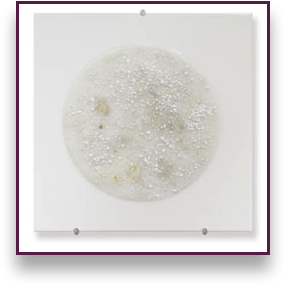 Glass Art - Fired in layers to make the surface sculptural & highly reflective. 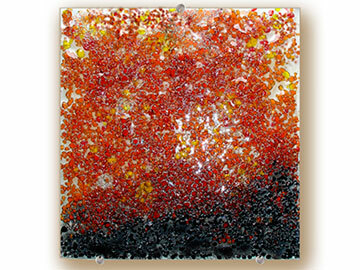 Abstract Art: Conceptual glass art inspired by the element: Fire. 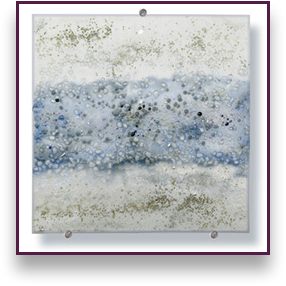 Glass Art - Fired in layers to make the surface sculptural & highly reflective. 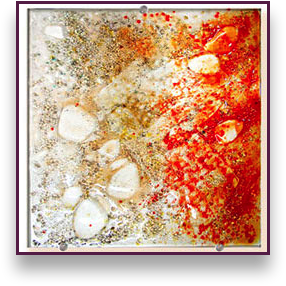 Single Panel, Triptych or Glass Art Bowl. as the light is increased. Sold. New image by commission. made to look like the gemstone. Single panel or Triptych. Beautiful glass colours made to look like the gemstone. 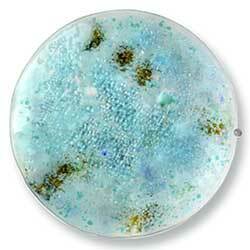 Glass-art Panel - inspired by Turquoise in its natural State (sculptural and reflective). made to look like the gemstone; in some of the pieces I added a bug image like those found in ancient Amber. Sold. New image by commission. Inspired by a close-up image of the gemstone and it’s refractions. 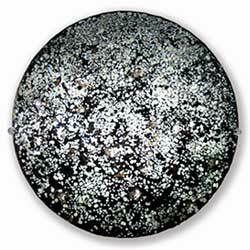 The glass surface is reflective and tactile. 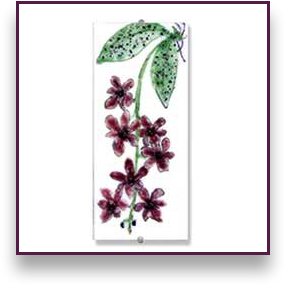 All glass art images can be made to your specifications, themes and colours on clear, white or coloured glass. You can also choose to include (or not) specific parts of this design (i.e. black or clear rods, shards and lenses). Sizes to 500mm. Larger by commission. 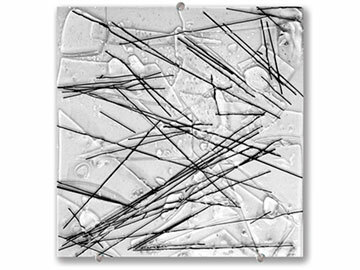 Glass surface is raised and tactile to the touch. 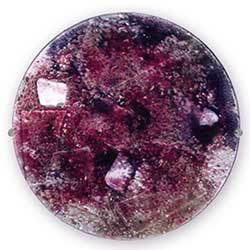 All gemstone images to be made as wall-hung glass art or as a bowl. 400mm. 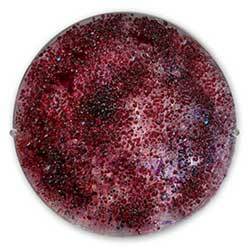 Wall-hung Glass Art that is tactile and reflective, with colour changing dichroic highlights. 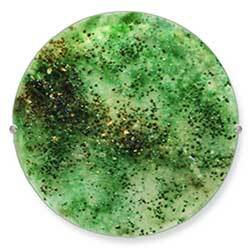 All gemstone images can be made as wall art or as a bowl. 400mm. 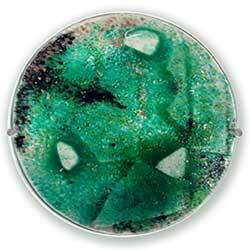 Tactile and reflective image of an Emerald. 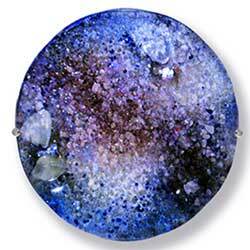 All gemstone images can be made as wall art or as a bowl. 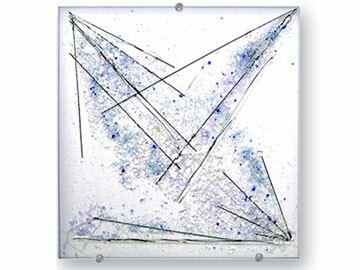 Tactile and reflective glass art image. Sold. New image by commission. Black Onyx with clear lenses that allows light to pass through sections of the surface of the glass. 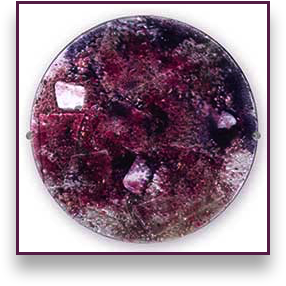 All gemstone images can be made as well art or as a bowl. 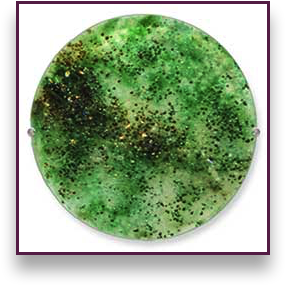 New Image of Peridot (see glass art bowl). 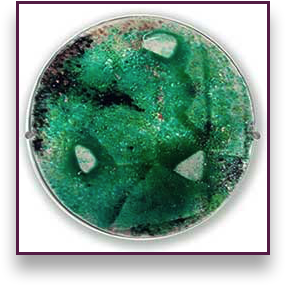 The surface of the glass is tactile and reflective with bronze and emerald like pebbles. 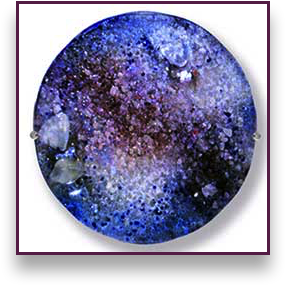 Made to look like the gemstone Sapphire; tactile glass art image; with large glass lenses & reflective dichroic glass. 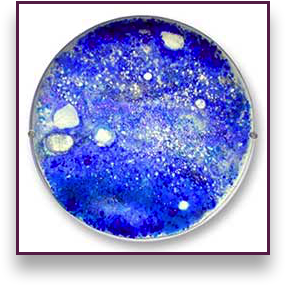 Glass Colours: Tones of blue and purple glass, with reflective dichroic glass, made to look like the rare Tanzanite stone. 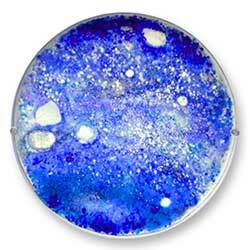 Available as wall-hung glass art or as a bowl. 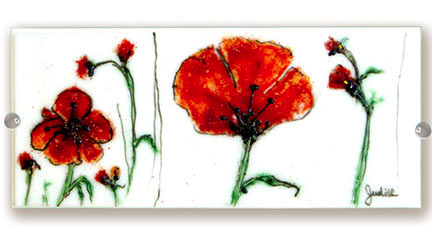 For your own Triptych you may choose what design, glass parts & colours you would like on your three unique panels. 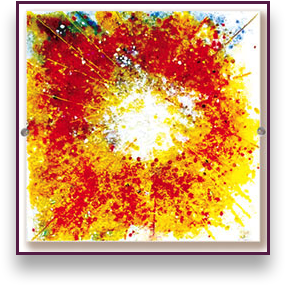 All colours & sizes to 500mm each panel (Larger sizes available). Price Guide: £500 +/- Depends on complexity of the design. 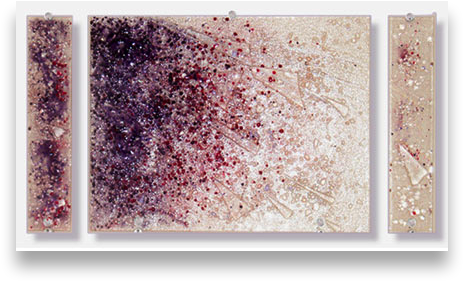 Available as single panel or triptych - Made with clear glass inclusions, Rose coloured culets and colour changing dichroic glass. Single panel or triptych. 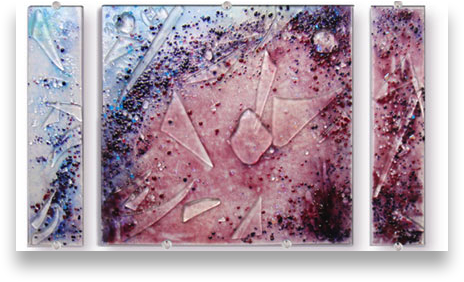 The triptych glass art image was designed to look like the gemstone. The smaller panels were made as a matching gradient. Sold. 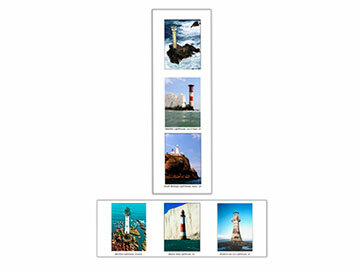 New image all sizes to 500mm each. Commissioned. 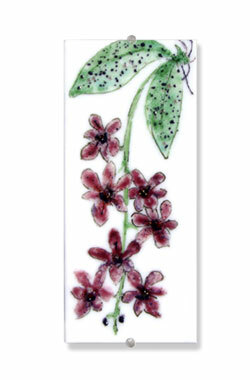 Client chooses what glass inclusions & colours she wanted on her unique design. When I was advised they would be hanging it on a long wall, I added the 2 extra panels to make the first Triptych in this series. Sold. New image by commission (all colours). Price Guide: £150 - £300. will be one of a kind. 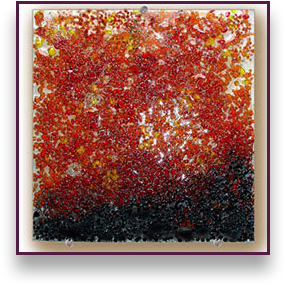 This image is made exclusively from fired glass frits & culets, (not paint). The original design was fired, then the raised cups, stems, shadows, highlights and colour changing dichroic glass were added in subsequent firings. 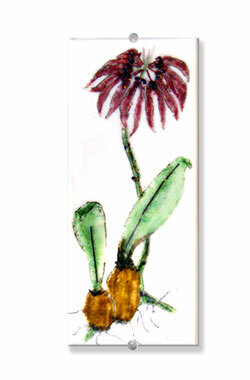 Made exclusively from glass, the surface of the glass has raised stems and stamen, that are tactile to the touch. £125. 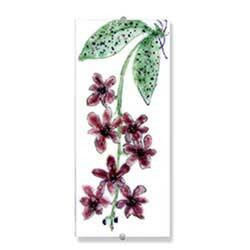 One of a kind glass art panel. 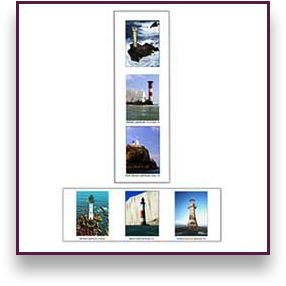 The images of Lighthouses are printed onto a glass medium, which is then fired onto the flat glass. Then culets and glass frits are added to represent the raised water and ground around the lighthouse. Sold. All sizes and shapes available. 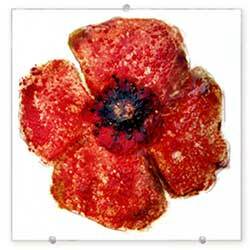 This image is made exclusively from fired glass frits (not paint). 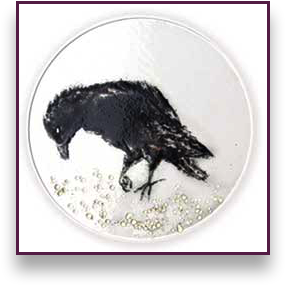 The original design was fired in layers to make the raised wings and feathers; then colour changing dichroic glass was added to depict the patina of the birds feathers - Sculptural. Sold. 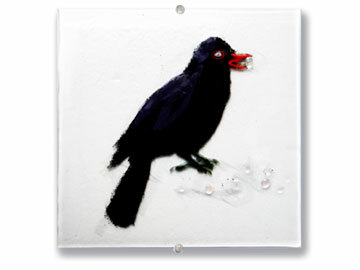 This image is made exclusively from glass frits & cullet’s (Not paint). 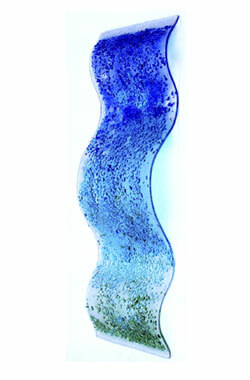 The glass is fired in layers to make raised and sculptural image. Then the temperature of the kiln is lowered and the wing patina and clear pellets were added. When lit images changes. £120. Initially the glass is fired flat, then it is curved by slumping it onto the unique mould. 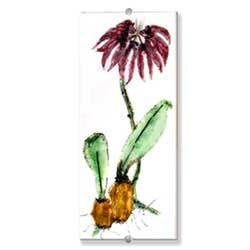 The fired glass can be displayed sideways on a table, wall mounted, or put onto a wood base (custom made). Sold. New image by commission. 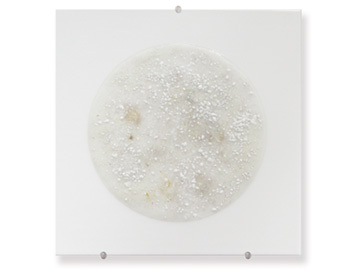 All images & work ©Judith Menges.